"That is what Aileen died of... she was the other mare that was with Leona, Stryder and Veritas. .... Thank God, you have her and are giving her such wonderful care...I just know this will be another hurdle, but your love, prayers and wonderful care will bring her through this. .... I just KNOW Willow is going to be fine...she has endured to much and now her guardian angel has saved her and she will be with you for a good long time. I do thank you for letting me know...God Bless you..."
Aileen? Another mare? EPM? Died? Willow started feeling better sooner than normal. I hope that her episodes continue that trend. But we stayed with her for a while longer, and I told Martha about my conversation with Nancy. I was still in shock myself, but when Martha heard there had been another starving mare with Willow abandoned at that old farm; that sadly, she didn't make it... that she had EPM and that she had died before the horses were rescued, Martha looked up at me. And she cried. Martha is so strong, and I know it takes a lot to make her cry. I think she was crying for Willow. The other mare, Aileen, had probably been Willow's mate. Martha told me that this may have had a profound impact on Willow... and that because Willow couldn't speak, who knows the pain and sickness that manifested... Then I remembered something Martha had told me weeks ago... "We are not bodies with souls.... We are souls with bodies. Long ago, before Adam and Eve, I believe animals could speak to people... but then their voices were taken away. I believe animals go to heaven and that they have souls. I believe Willow has something to say, and you need to learn to hear her..."
I have loved following your blog. 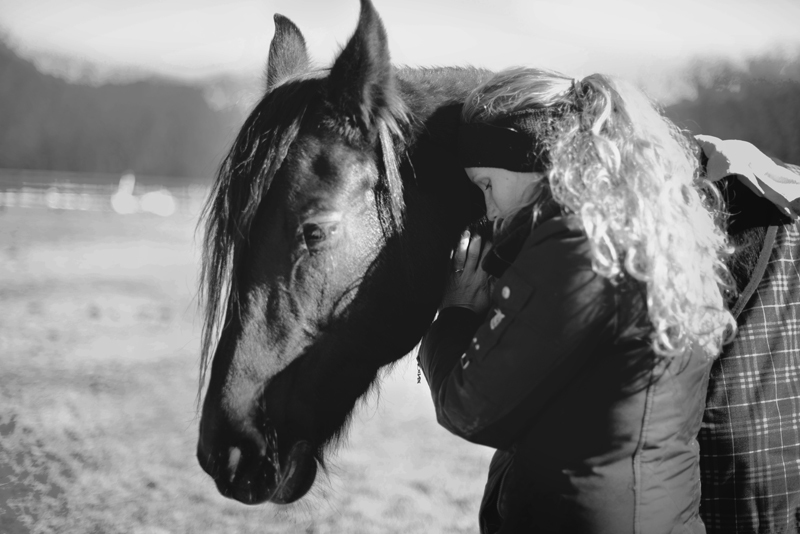 An avid horse person and photographer, it is just the mixture of my two favorite things. Anyway, I had a horse with an EPM diagnosis growing up. Not only did she thrive, but she went on to be a great show horse for young children (small fences as it was harder for her to jump). She was super sweet and lived with the diagnosis for many, many years (ten or so at this point). She is still alive and well, and even had a foal that is now my main show horse. Basically, what I'm saying is, you are so full of love and hope and faith. Willow will be amazing in your care. Much love, Jenna.